When starting with recovery from substance use it is so important that the patient be able to identify and understand the people, places and things to avoid. The more a patient learns about sobriety and themselves the more they realize the patterns that people, places and things cause and how detrimental it is to their recovery. It is important for the patient to really understand why professionals recommend the people and situations that have to do with substance abuse, because it can often be hard to let go of such people and situations and can be an emotional thing to come to terms with. 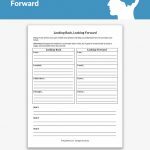 This worksheet asks the patient to identify the high-risk people, places, and things that will have the patient likely to relapse to substance use behavior and how they intend to manage that high-risk element. The patient is also asked to record the people, places and things that can serve as protective factors to manage the high-risk situations listed. The worksheet will ask the patient to identify the people, places, and things that they should avoid or develop a plan to manage if they cannot avoid the element in question to decrease the chances of relapse. 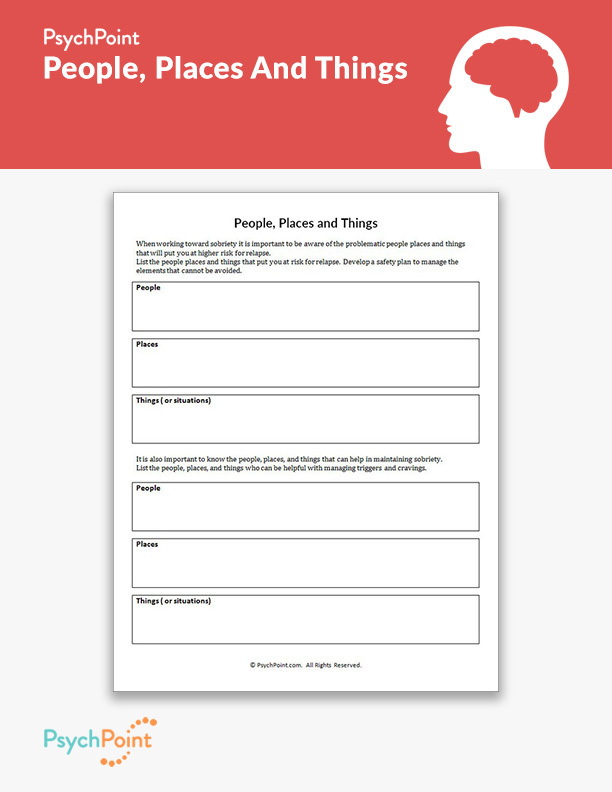 After completing the first half of the worksheet identifying the problematic people, places and things, the patient is then asked to record the people, places and things that can be helpful in maintaining sobriety. After the patient completes the worksheet begin a discussion or conversation about the results. 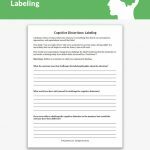 This worksheet is great in individual and group settings.